Danzy Senna's Caucasia is now available for the first time in audio! Birdie and Cole are the daughters of a black father and a white mother, intellectuals and activists in the Civil Rights Movement in 1970s Boston. The sisters are so close that they speak their own language, yet Birdie, with her light skin and straight hair, is often mistaken for white, while Cole is dark enough to fit in with the other kids at school. Despite their differences, Cole is Birdie's confidant, her protector, the mirror by which she understands herself. Then their parents' marriage collapses. One night Birdie watches her father and his new girlfriend drive away with Cole. Soon Birdie and her mother are on the road as well, drifting across the country in search of a new home. But for Birdie, home will always be Cole. Haunted by the loss of her sister, she sets out a desperate search for the family that left her behind. 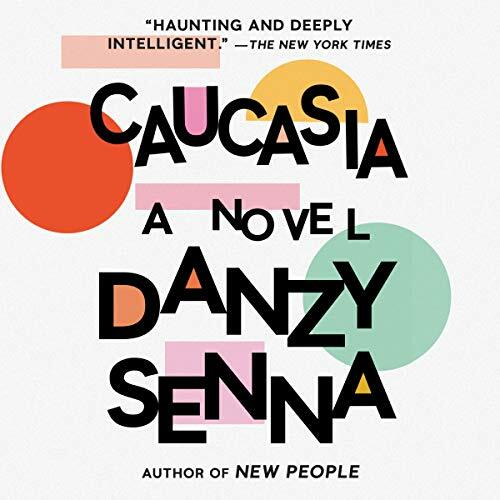 The extraordinary national best seller that launched Danzy Senna's literary career, Caucasia is a modern classic, at once a powerful coming of age story and a groundbreaking work on identity and race in America. On its surface, Caucasia tells the story of a young girl struggling to survive a difficult mother, distant father, and legal trouble. Throughout the story, however, deeper themes emerge on race, gender, and the search for an elusive utopia. This book is beautifully written and performed.